What just happened? Nintendo wrapped up the final day of its Treehouse Live E3 broadcast with a surprise for retro gamers, announcing the first official release of the complete arcade version of Donkey Kong since it was released in 1981. Sure, versions of the game have landed on various platforms over the years but this is the first time the actual arcade ROMs have officially been made available. 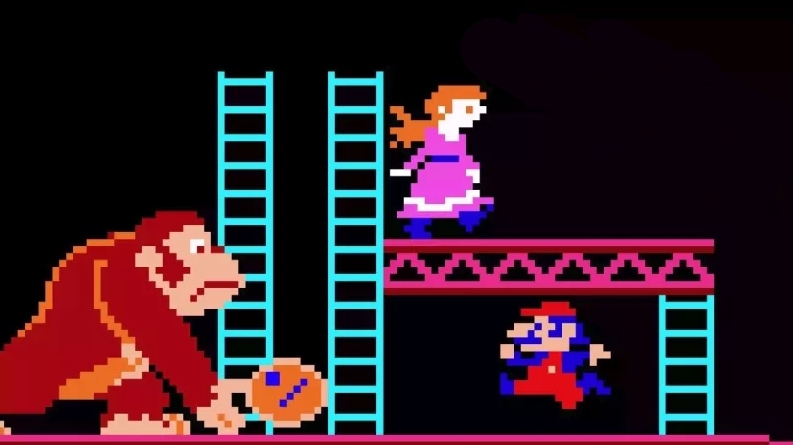 Donkey Kong for the Nintendo Switch is comprised of three versions of the game including the original Japanese release with bugs intact, a fixed Japanese release and a slightly tweaked international version like the one that debuted in the US in 1981. Some believed an official re-release of the arcade classic would never materialize due to copyright issues but Nintendo was able to work things out and make it a reality. Nintendo also announced the pending release of another – albeit lesser known – arcade legend. Sky Skipper was developed in 1981 although it was never officially released in arcades. As Nintendo employee Don James recalled during the broadcast, Nintendo received 10 Sky Skipper cabinets and put them out at various arcades to test their popularity. For whatever reason, Nintendo never officially launched the game but did manage to hang on to one of the cabinets. Nintendo recently got the call to dig up the machine and pull the ROMs to create the Arcade Archives version. A few fun facts: this is the only known North American arcade cabinet version of Sky Skipper and although Shigeru Miyamoto didn’t design the game, he is responsible for the cabinet’s artwork. Sky Skipper is set to arrive on the Switch in July. Donkey Kong is available as of writing priced at $7.99.